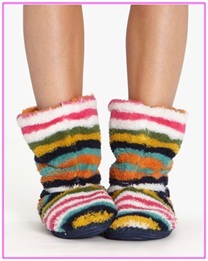 Mix and Chic: Sponsored post- Joules! This sponsored post is brought to you by Joules. Autumn is advancing like a runaway steam train, and as the nights draw in and the mornings get darker, winter togs come out of their hiding places to keep us warm. But why shouldn’t we look gorgeous when wrapped up for winter? This season all eyes remain on the UK and the fashion is quintessentially British – think wellies, quilted womens jackets and more tweed than you can shake a stick at. 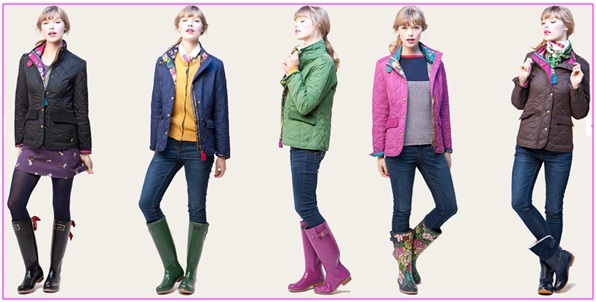 And what better brand to opt for when hunting for folky fashion than Joules? The brands heritage is in the fields and markets of the countryside in the UK, and has developed into being the fashion of the aspiring country dweller. We love the gorgeous prints and sumptuous fabrics in the Autumn Winter collection for 2012, with favourites being the feather and goose down gilets for women, Moredale jackets and cute animal print jumpers, not to mention the cosy slipper socks to stop cold feet on the kitchen tiles! And this quintessentially country brand have been working tirelessly behind the scenes to bring us a fantastic collection of bedding sets, printed with farmyard scenes and bouncing boats to give our homes an everyday England too. If you are after a brand that are crazy about colour, dotty about detail and passionate about prints to inject a bit of fun into a dreary winter wardrobe, then give Joules a try.